Alright I replaced the CSS with the original, but now in Google Chrome the main menu text it at the very top and in fire fox it is in the location it should be in on the demo. Alright I figured it out. I downloaded this template from a different website. I uploaded the one from here and it fixed the problem. Alright never mind that didn't fix it. Same issue as above image. Well it seems after awhile it started working. 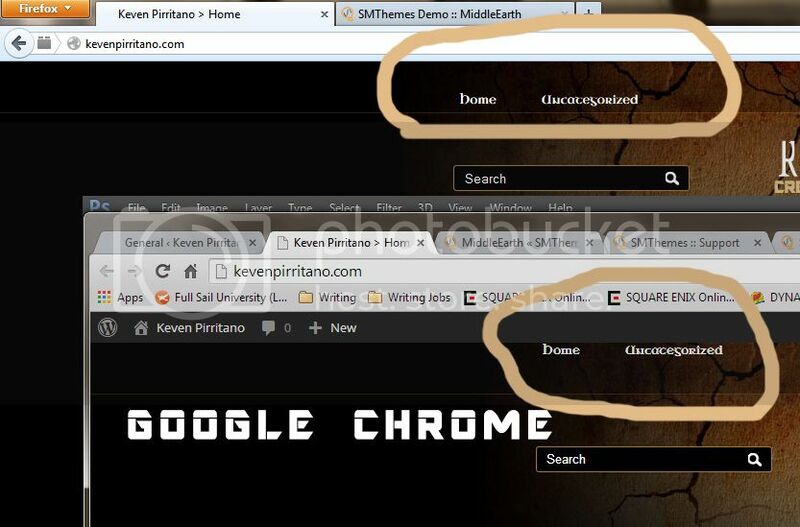 It seems to be an issue in Chrome on windows as it works fine in Chrome on Mac. However, it is working again, but who knows how long.